When writing, I count a lot on the muse (which I've written about before) for inspiration. I might have a general outline in my head but that's not a book-- not even a short story. The muse doesn't speak directly to me but rather comes in serendipitous coincidences and dreams. After a night of vivid dreams, I often lie awake in the morning to try to put together what they meant and can they be used. Many mornings I dreamed all night, but nothing is left when I wake. I had published the first two in the Hemstreet Witches Series in the summer of 2016. Enchantress' Secret June 2nd and To Speak of Things Unseen August 13th. Some say a book should come out every month-- although those are generally not 60,000+ books. I admit I was influenced to hurry them out by that kind of thinking regarding the necessary timing. Back then, I called the series Barrio Viejo. The inspiration for the series had begun December 2015 when we were driving around the historic Tucson neighborhood, Barrio Viejo. I saw the potential with its mix of history, mysticism and renovation. What could be a better setting for a series using witches, who fight for good and against evil. The Hemstreet witches are descendants of shamans and witches. They are naturally born, fully human but with supernatural powers. They live natural life spans, could be killed, but are born with powers such as most of us never imagine unless we are mystics. 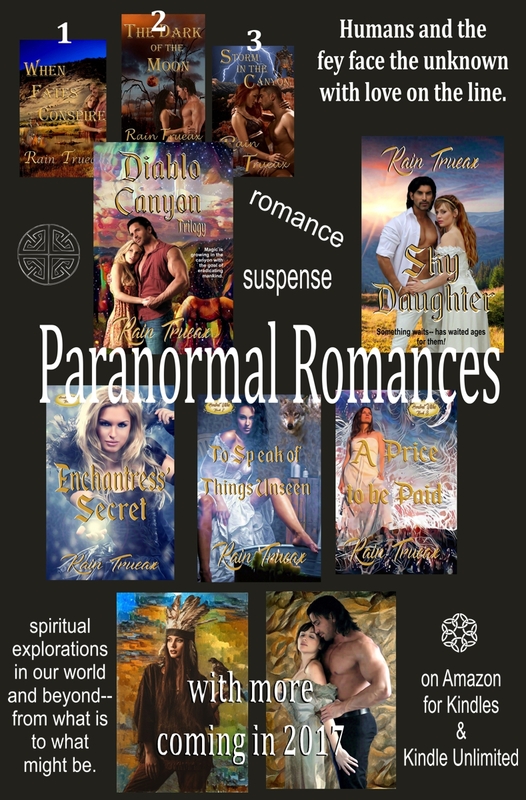 Paranormals have to have rules, the Hemstreet Witches series ended up sharing rules I'd already established for two earlier paranormals set in Idaho and Montana [Sky Daughter and Diablo Canyon). The characters have ancestors who were in my Arizona historicals. Such fun. What was not fun was looking at Enchantress' Secret, last week. I thought I'd done enough edits, had beta readers who caught mistakes, and then there was my editor, who believed it was good to go. My recent, word for word look found multiple errors-- some big ones. Only if you are a writer will you understand how devastated I felt. So, more on that in a future blog. The good thing is, with long hours of editing, it went back out fairly fast and now is error free *fingers crossed*. Editing is not about the muse. It's about craft and taking enough time between the rough draft and hitting publish. I've learned from this, but it still is painful that it happened.